Happy "Fright Night" From Both Horror Press Publishing & Twilight Zones Press. "It is believed that the U.S. Government is withholding critical information pertaining to the existence of extraterrestrial life and that there are covert government projects that specialize in the retrieval and cover-up of fallen or crashed alien craft." Chris Mentillo, Ph.D. is an award-winning, and best-selling horror author. His book Obliterated: “Everything is About to Change” was named a top 10 novella of 2015 by several distinguished publishing contributors, including The New York Times. His short story anthology book, “Weird Tales of Horror was also listed many times as a top 10 Amazon Classic best-seller along with A Ghost Tale and, A True Tale of Horror, The Unhappy Heiress. In addition, Chris Mentillo is the founder and chief editor of several news media newspapers online, entertainment companies, and has ghostwritten and edited over a hundred short stories and novels. To date, he is working on several movie producing projects and writing a few books. One of the books he is adamant about finishing is a true crime book on a few Jack the Ripper suspects. His house is nestled deep in the woods, between Archer Lake and Lake Pearl, located in Massachusetts where he currently lives with his wife, photographer, Gloria Mentillo. "I’m going to start taking the train more frequently; it seems like every pronounced writer I know, invented something infinitely creative while on a train ride." Wait…where are you going? Don’t go. Do not be afraid. We are only starting… We are so excited you decided to join us. We hope you plan to stay with us for a long time. We have so many interesting horror books, and an array of other horrible things to introduce you to still. In addition, HorrorPublishing.com is constantly trying harder to add even more goodies to our repertoire for you to enjoy. So stick around for a little while longer, and start exploring what we already have. We promise you, you’ll be glad you did. At HorrorPublishing.com, you will find the newest horror book’s for the best prices on sale by best-selling horror authors like Chris Mentillo -- and other awesome professionally published horror authors. But for only a limited short time, these products may or may not continue to be up for sale here at HorrorPublishing.com after the promotional trial period is over. However, our ultimate goal at HorrorPublishing.com (Horror Press Publishing) is to be able to use this promotion platform for all of (Horror Press Publishing) horror books, along with many other great authors -- now, and in the future. In addition, HorrorPublishing.com (Horror Press Publishing) has collaborated with the most secure Internet e-commerce companies in the world. Shopify has given us the opportunity to offer our customers to feel exceptionally secure when ordering any of our products. Our store accepts payments with PayPal Express Checkout, Shopify Payments, Cash on Delivery (COD), Amazon Payments, and Dwolla. Thank you for taking the time to explore our horror products, and we hope to have a continued working relationship with you again. So do not plan to leave anytime soon. 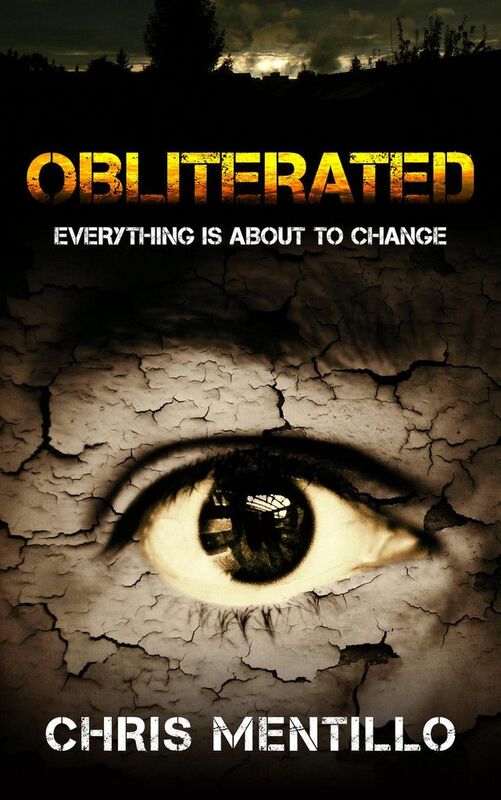 Until then, enjoy our main feature book by International bestselling horror author, Chris Mentillo, "Obliterated, Everything is About to Change,” and we sincerely hope to see you again soon. Don’t worry, we don’t bite -- at least, I don’t anyway. Check out Chris Mentillo's Blog Here.